Description Mounted on cardboard; pinholes. 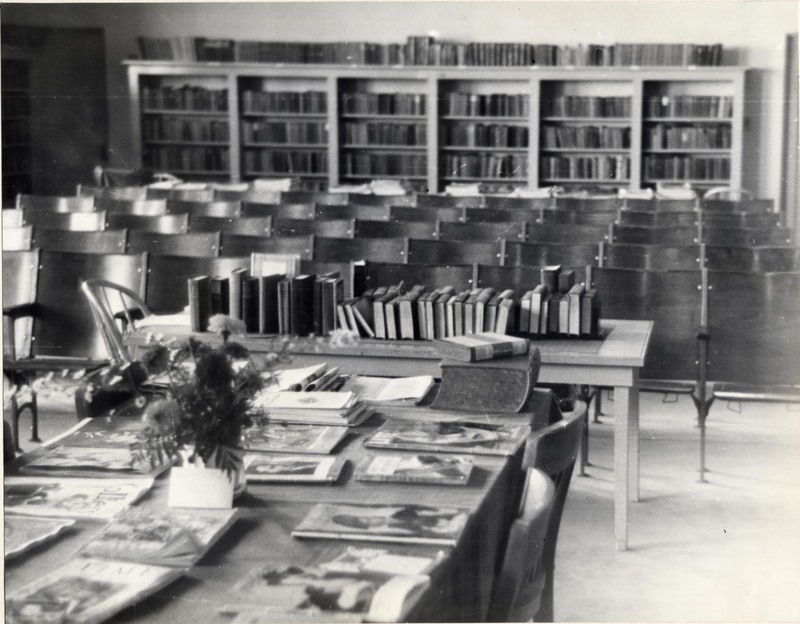 Caption in ink on front: Oswego Library - 1940's. Photo 909 is taken at the same time and is labeled 1938. Library located in City Hall.